The Wahoo KICKR basically rules the smart turbo trainer roost. There is occasionally some debate, but there have been no challengers which have really been able to come close to dqualling the KICKR in all of the areas it excels at, namely : Reliability, stability, design, and quality. 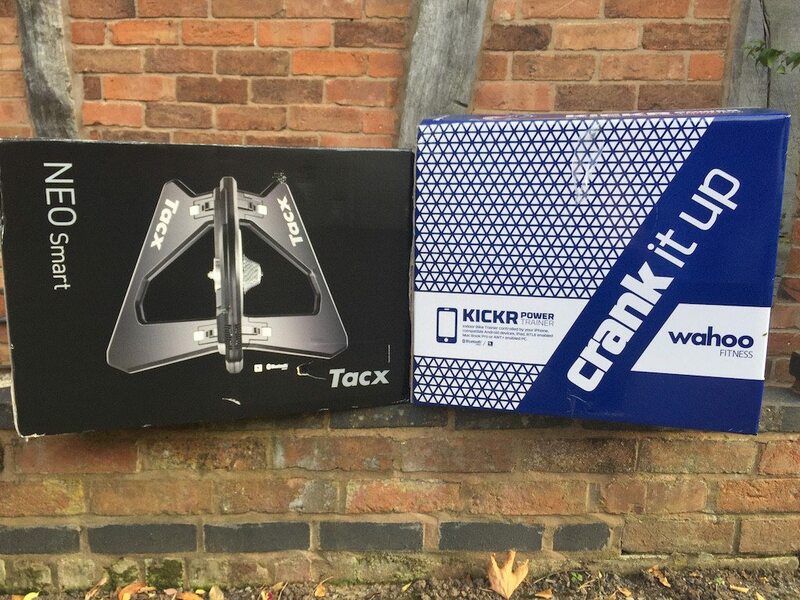 TacX Neo vs Wahoo KICKR comparison…that sounds a little tame. This isn’t a comparison. This is a title fight show down! I dont recall a product review I’ve needed to read, let alone write this badly. When the units come through the post, both boxes look suitably imposing, they both certainly where a metric tone! But just looking at the external design, the black box and the picture of the turbo on the side makes the Neo look like something that Batman has just ordered for the BatCave. By comparison the Wahoo looks a little more like a white good. On the rear of the boxes, its a similar story, with the Neo looking like a landed space ship! It could be argued that the Wahoo KICKR is able to trade on its solid reputation alone, however the Neo certainly takes the attention, in a typical understated Western style. TacX Neo vs Wahoo KICKR – Point to Neo! By comparison the TacX Neo uses an Edco MultiSys free hub, meaning that the Neo can use either a Shimano or a Campagnolo cassette. The downside is that you DONT get a cassette in the box with the Neo. The free hub is also a little fiddly to get the cassette to slip on due to the extra and different grooves. My advice, find the largest shimano block/tooth on free hub side of your cassette and use that as the guide. 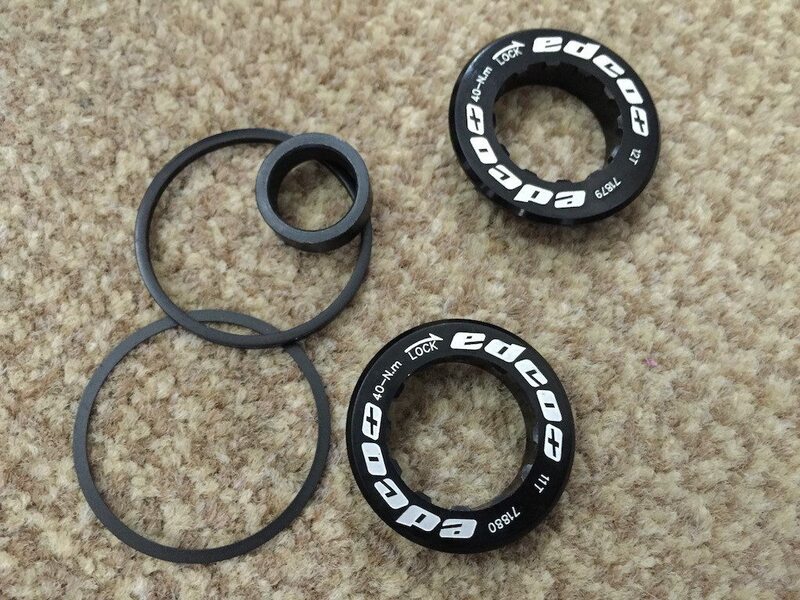 But the lock ring didnt work with my Campagnolo nor Shimano locking ring nuts. 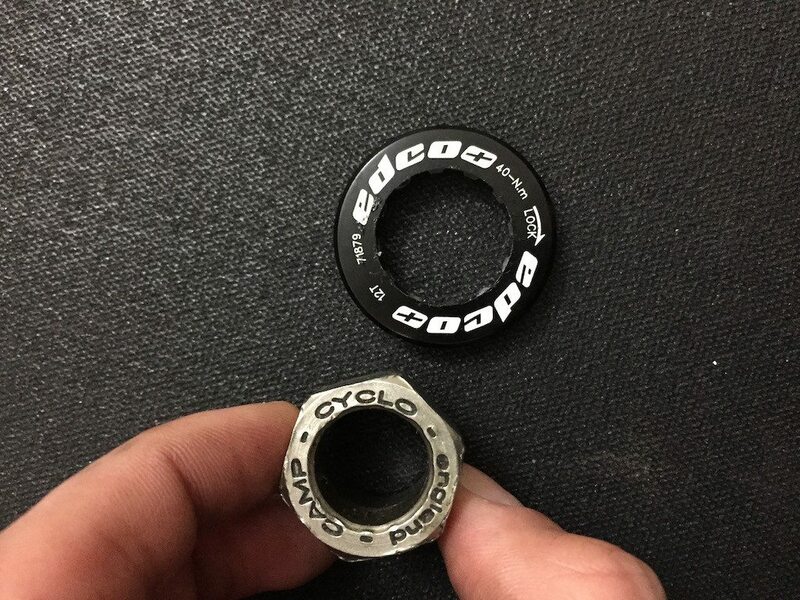 A quick trip down the The CycleStudio in Stratford Upon Avon – who are ALWAYS amazing – identified after a little digging around in the work shop a Campag nut was needed – but also interesting that the lock ring was compatible with a Shimano Free WHEEL nut – go figure. 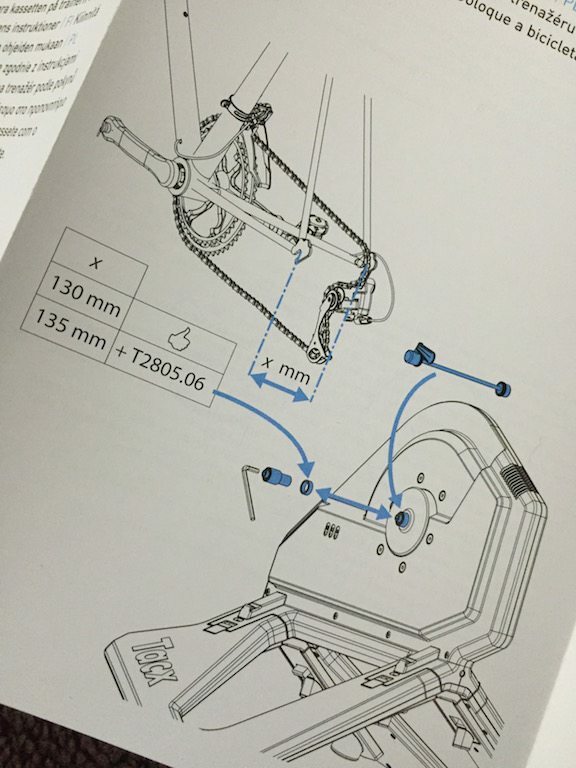 I dont know why TacX opted for kit that uses Campag tools as the default. Simply based on market size, it’s an odd call, and something that a buyer must take into account. There is nothing worse than getting something home and not having the kit. Original Garmin Vector users frequently didnt have the correct wrench head to install them, which Garmin addressed with the Vector 2, by throwing the wrench head into the box. This is difficult one to call at this point. The KICKR is better value, coming ready to go out of the box – for a Shimano user. However many riders will swap out the included cassette for gears to match those on their wheels, thus this might not be a major saving. Overall, a hard decision which machines wins out when getting it out of the box, especially given the different kit included with each. However given that in almost every outlet currently the Neo is costing approximately £150 more than the KICKR, the Wahoo has to take to point. 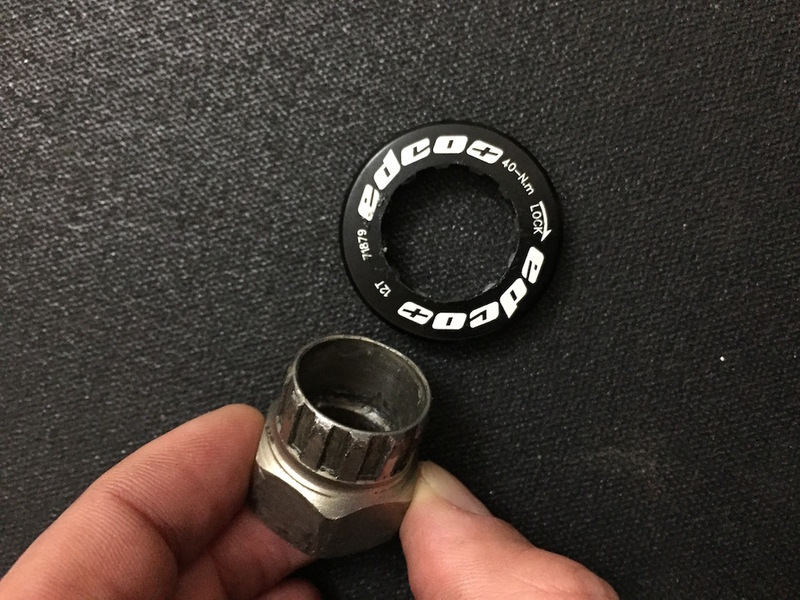 To be fair, if TacX had thrown the lock ring nut in the box and given a choice of cassette, I would have given the point to the Neo probably, but as it stands, the KICKR is ready to go as soon as you plug it in. 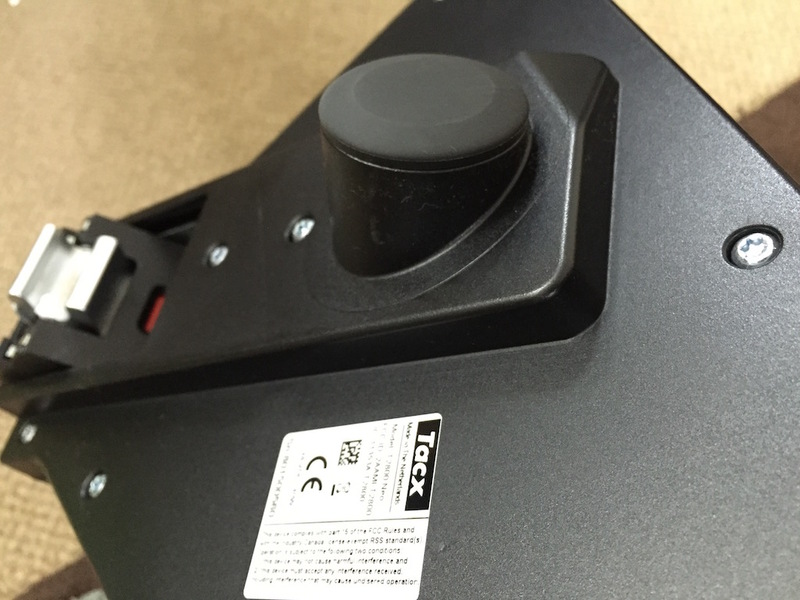 TacX Neo vs Wahoo KICKR – Point to KICKR – for out of the box usability! 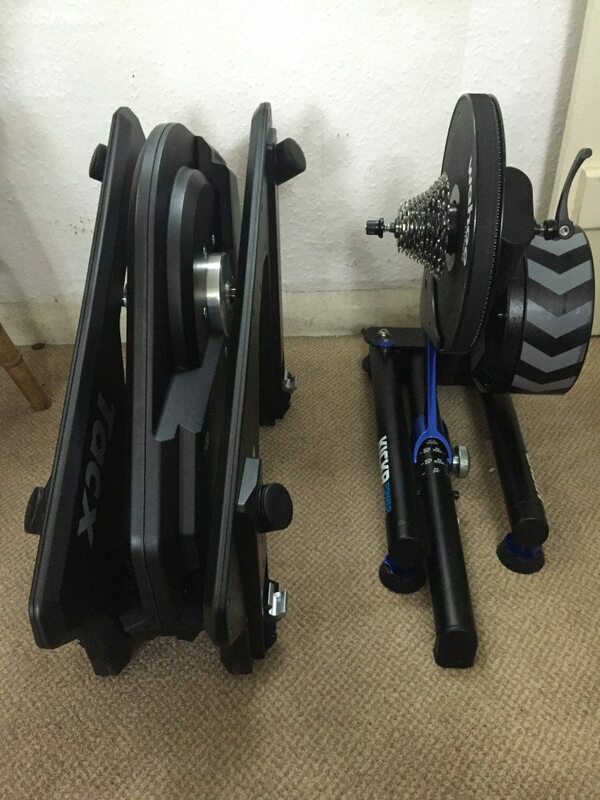 The Wahoo KICKR has always been an imposing device, it genuinely comes as a surprise when you place the tow units together and so the TacX Neo’s massive space-ship form DWARFING the KICKR. It really looks like there is a new challenger in town. Personally I think it looks like the Neo is going to steal the KICKR’s lunch, and I do REALLY like the look of the Neo as it sits there…brooding. 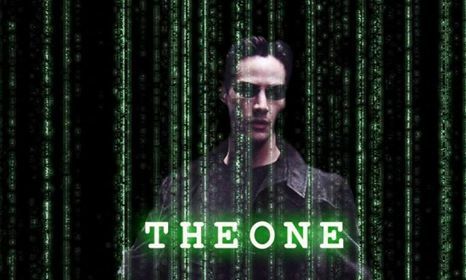 Frankly I think the Neo should be aware a point just because it looks so COOL – but thats not really an objective measure – maybe if there is a tie at the end? Another point to look at with regard to the feet on the Neo is they are fixed, unlike on the Wahoo KICKR. 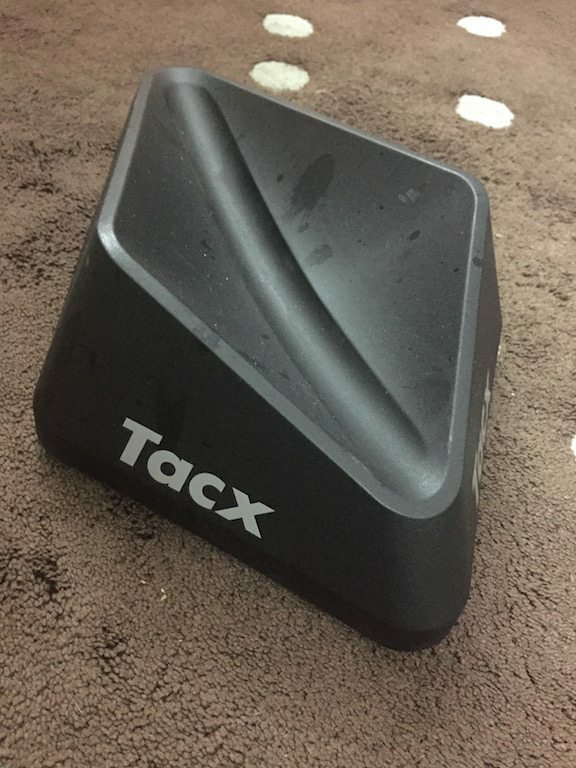 The point being you may have issues with a uneven floor – perhaps this is something TacX will look at for a revision in a few years time? 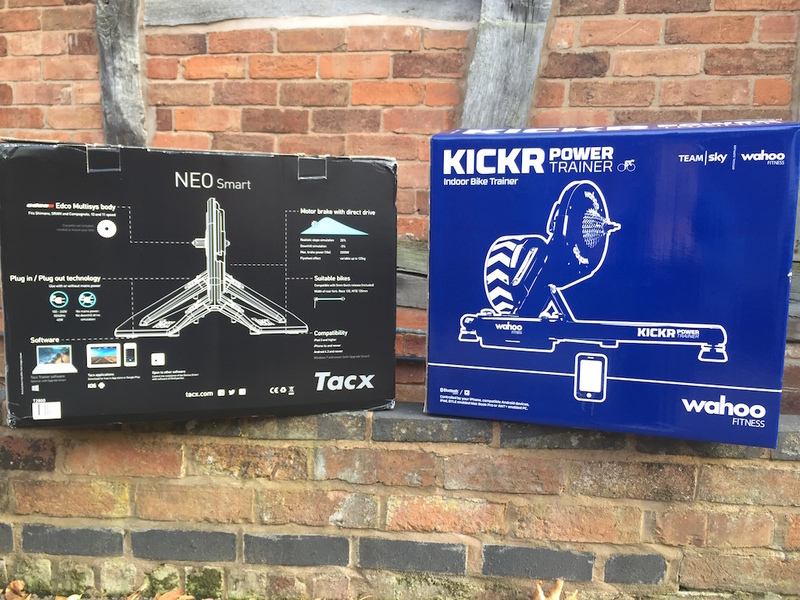 TacX Neo vs Wahoo KICKR – Point to the Neo – for storage! Picking the Neo up by the wings isnt a major issue…but it seems like a little more thought went into appearance rather than design. 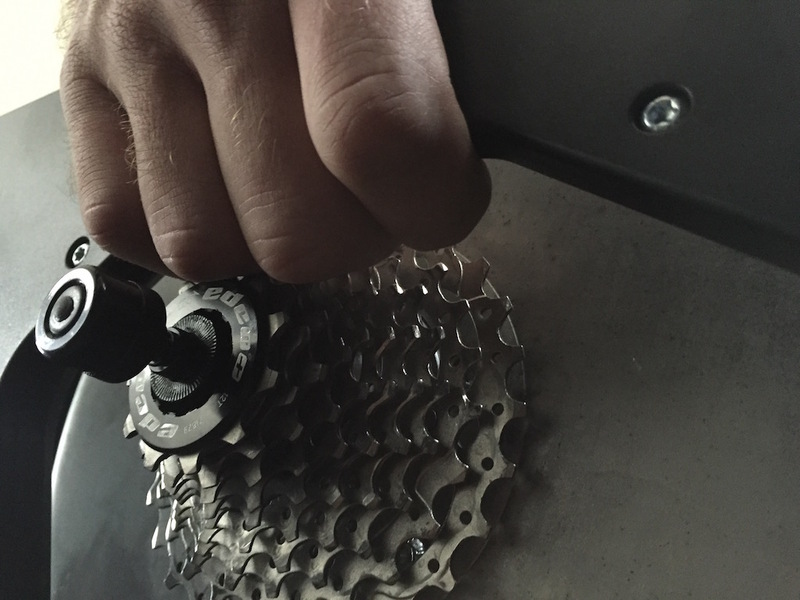 As a result, the natural place for your hand to sit, at the top of the cut, is where the top of the cassette sits. As a result you have to be particularly careful carrying the Neo by the wings so as not to shred your fingers! I can’t help feeling that the Neo could have been better designed for carrying? TacX Neo vs Wahoo KICKR – Point to KICKR – for carrying ability! Neither unit is light weight, and carrying either unit over any distance can get tiring. 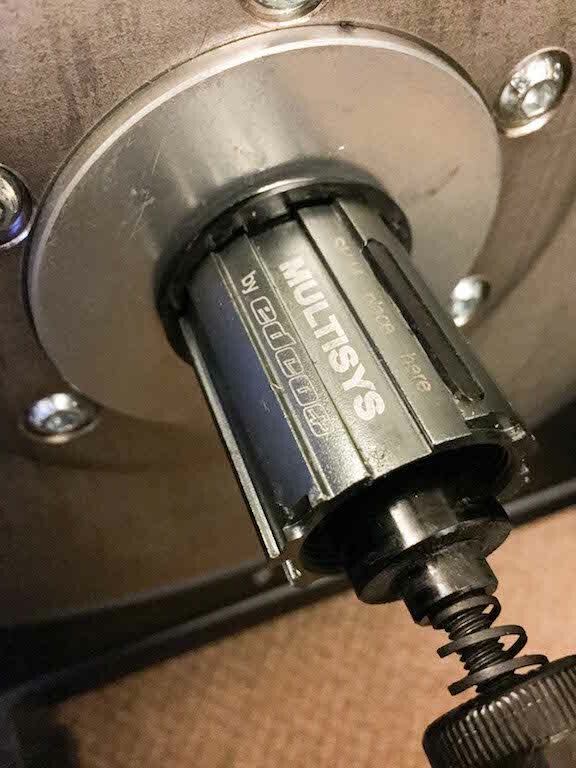 With the handle on the KICKR the unit can swing a little if held in just one hand – as a result of this I’ve accidentally struck the wall in the house before – and I think it says a lot about the KICKR that my first thought was “Have I damaged the wall?”. The KICKR has a tubular metal construction, and overall a feel to it that makes it feel nigh on indestructible! Some people will like it, PERSONALLY, after having use the KICKR for over a year, I have grown very accustomed to the “locked down” and rigid feeling of the KICKR. I”m not sure that I entirely like the sway, and it does certainly impact the confidence slightly. It is amazing what engineers are able to do today with different materials, both with tolerances and flexibility, so I dont think that the sway will be an issue at all, in fact it may reassure some people as then the strain is being shared both by the turbo and your frame – the KICKR can at times very rigid, suggesting excess force going through the frame. 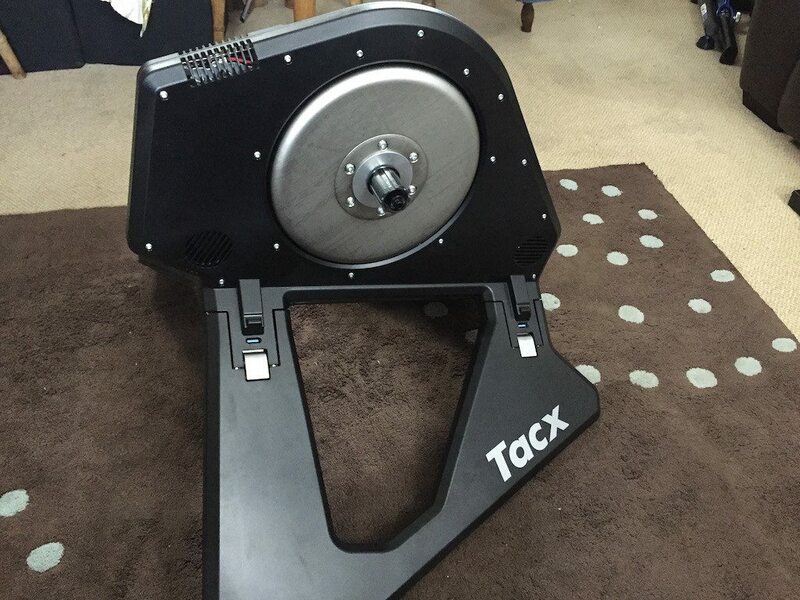 TacX Neo vs Wahoo KICKR – Point to the KICKR – for PERCIEVED build quality! Originally when the KICKR warmed up there could be some variations in the power output data. This has been largely addressed through new firmware for the KICKR, and can be overcome completely by having the KICKR read power from a separate power meter and use this for adjustment. When riding on Zwift there has been a well recognised KICKR lag – you fly up a hill, and there is a brief moment before the KICKR adjusts resistance. Its seen more clear when its up hill, down hill, up hill over the space of about 200m, as the unit is having to react quickly. The KICKR seems to react about 1-3 secs depending on what is going on. By comparison, due to the motor within the Neo, responses are certainly down to 1 sec or below. The ride on Zwift is very smooth and very responsive. Staying with power – the specs of both units differ in what they are able to handle. 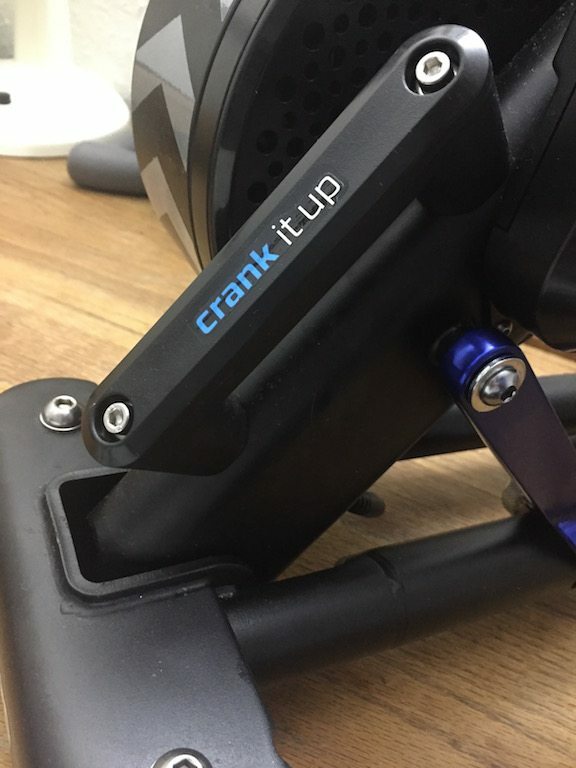 The KICKR can record your maximum power up to 1500watts, by comparison the Neo can happy take it until your legs give out, or you hit 2,200watts!! 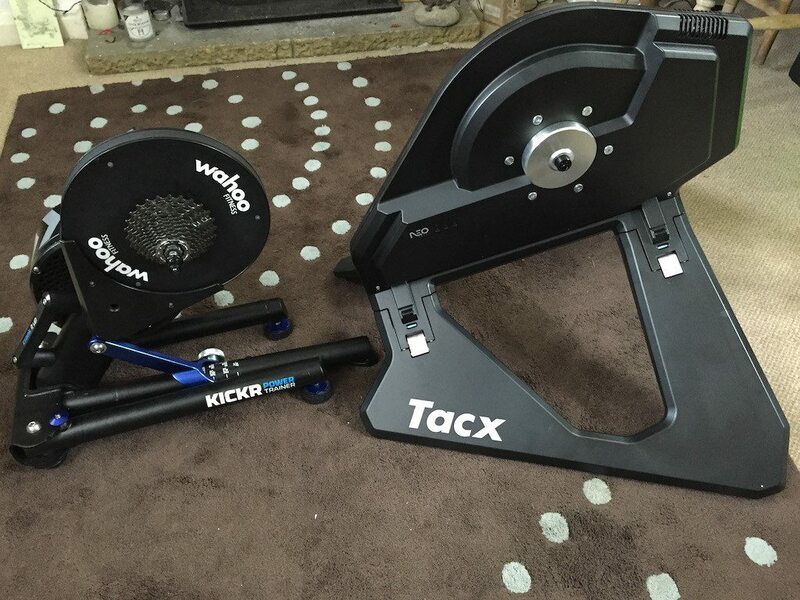 TacX Neo vs Wahoo KICKR – Point to the Neo – for power control! Control! Life is nothing without control! 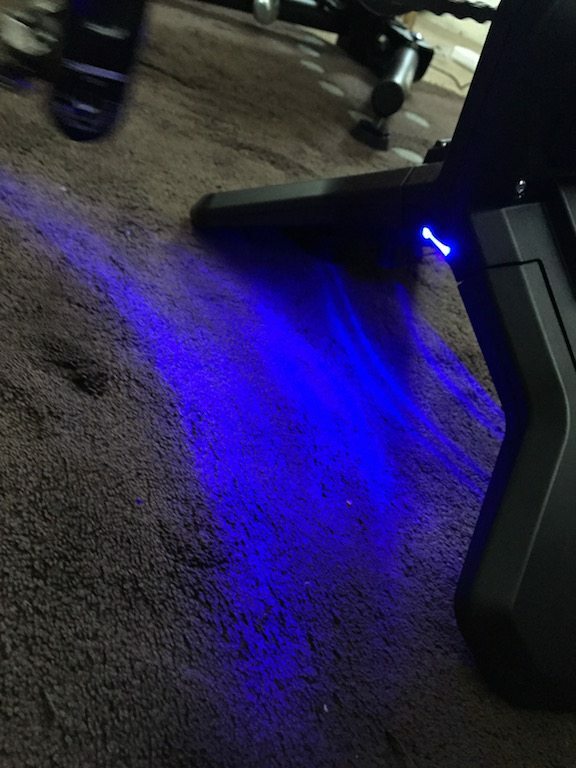 On the side of the Neo are three LEDs’ indicting that you have i) power, ii) bluetooth active and ii) ANT active. Great, and frankly a major black mark for Wahoo. There is nothing worse, when trying to find out about a device or communication issue, IF THE UNIT HAS NO WAY OF TALKING TO YOU. In the past with the KICKR, when I have had a few bluetooth niggles (resolved with later firmware updates) its so frustrating as you can’t even confirm that power is going to the KICKR its just a black metal box. Based on that its really great to see TacX have status lights to confirm everything is working normally – so simple and SO useful! This is designed to get you another visual clue as to how much effort you are putting in, as the colours change the more power you put in. Personally I just dont see the point here. Maybe when I’m using it in the depths of winter, I’ll get it. But for the moment, its just an odd inclusion, as I’m almost never going to be using the turbo without at least a head unit showing my power output. I’d certainly have preferred the inclusion of the campag lock nut, rather than the circuitry for this little light show. The KICKR does connect very well both over ANT+ and Bluetooth, there is never an issue using both communication protocols together either as some devices have. The KICKR is happy to have me logged onto Zwift and control its resistance on Bluetooth, or perform a spin down from my phone. I KNOW that the Neo works very well over ANT+ using ZWIFT, but have been completely unable to connect to it using bluetooth. This is somewhat complicated as TacX computer software is PC only, thus I can’t connect that way either to confirm everything is ok. But returning to my previous point, even when the device has been visible, briefly, on my phone, iPad or Mac, the Bluetooth light has never come on, and i’ve never managed to make a connection. 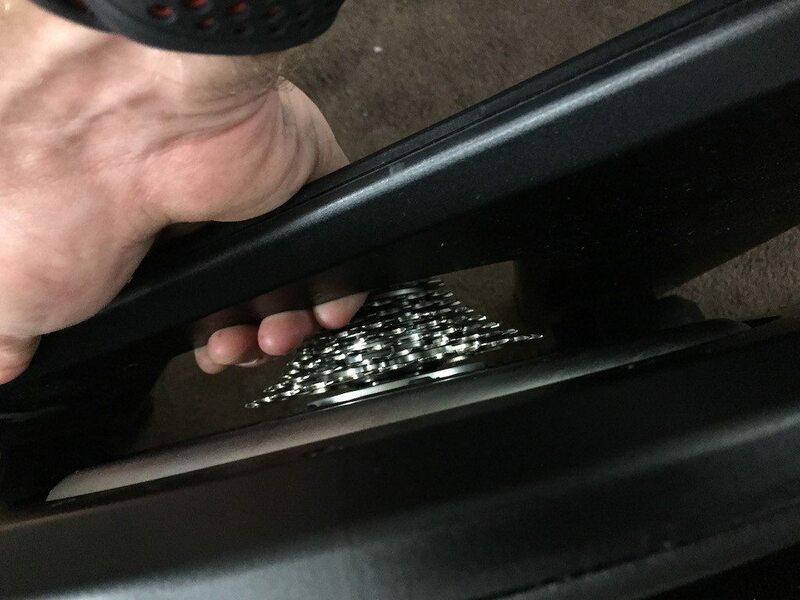 As a result of this, and another issue the Neo is being returned to TacX. 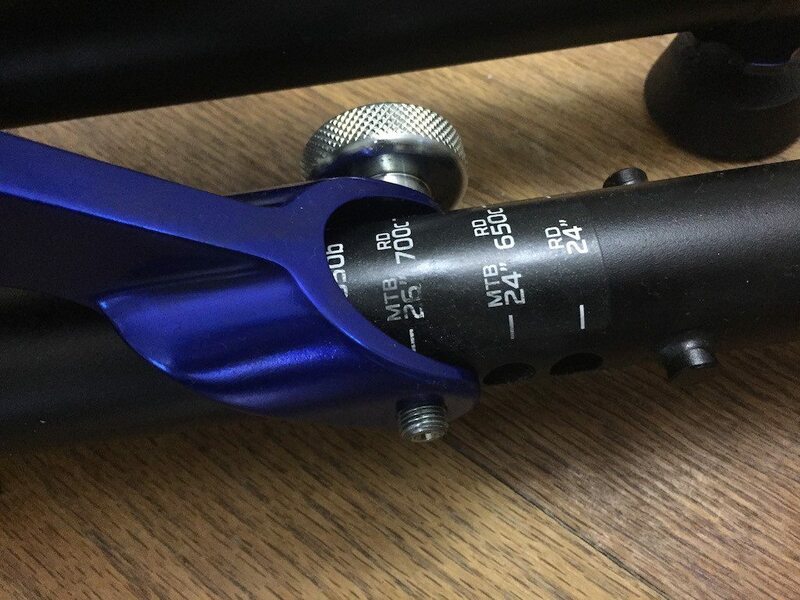 There could be various reasons for this issue – so it would be unfair to have this affect TacX score, so whilst awaiting a second TacX unit to address this connectivity issue, NO POINTS will be awarded yet. I think this is a point that MANY people are wanting to see, comparing the noise from the KICKR to the Neo. The Neo bills itself as 6dB of noise, which is less than quiet conversation! The biggest source of noise on the Wahoo is the fly wheel. There is no fly wheel on Neo, the large metal drum visible on the side is housing for the metal motor which can mimic a 20kg fly wheel. I do think that we adjust to what we have. I’ve quite liked the noise of the Wahoo KICKR, which increases as you use it. Thus giving you a nice aural feedback. The Neo does the same..but quieter! TacX Neo vs Wahoo KICKR – Point to the Neo – for peace and quiet! 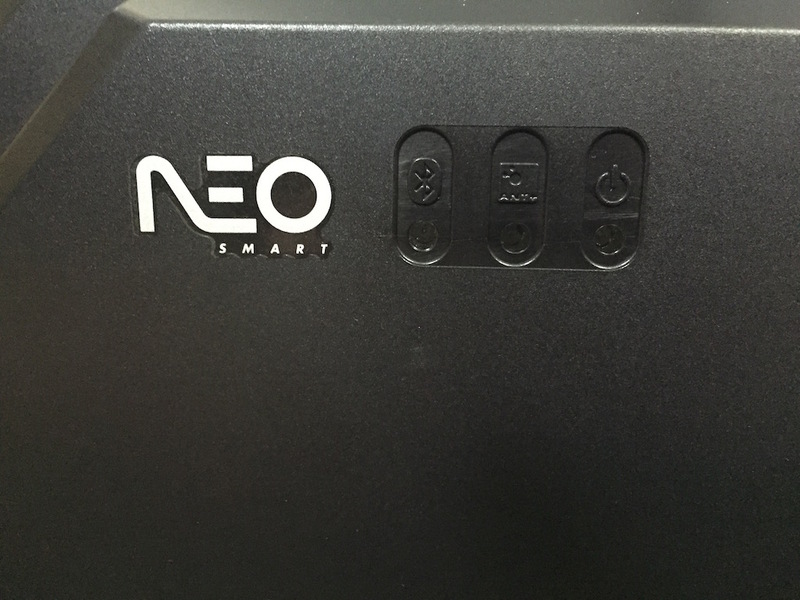 This was an expected win for the Neo – i) the power socket is easily accessible, and largely out of the way of sweat. TacX Neo vs Wahoo KICKR – Point to the Neo – for electricity GENERATION! 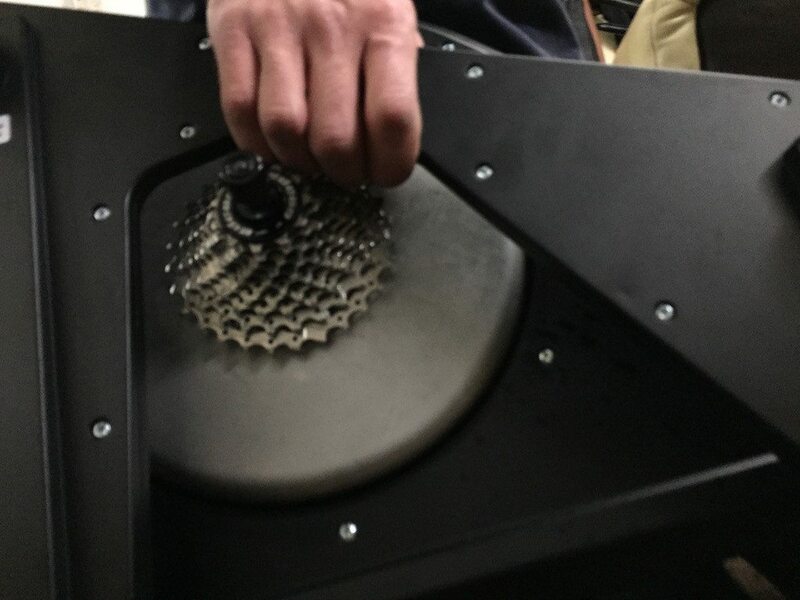 The Neo has had to go back to TacX due to what appears to be an issue with the free wheel and comms system. 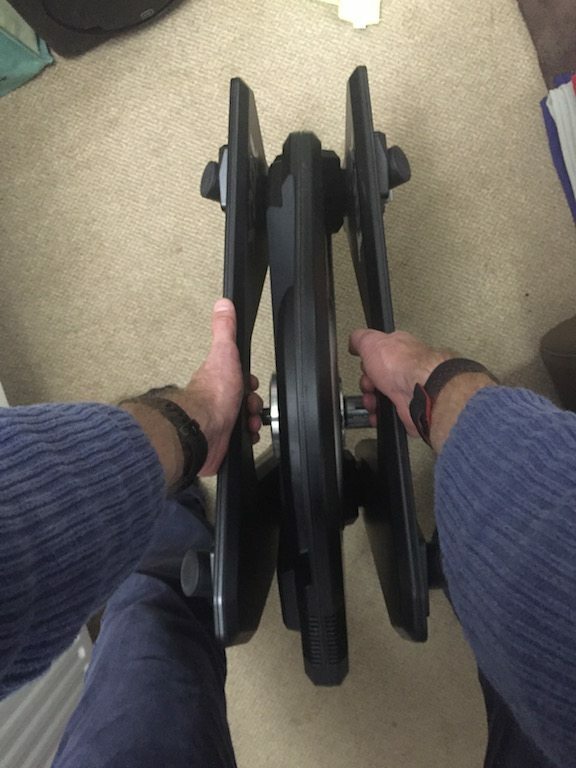 It may transpire that the two issues are linked, but I need TacX to come back to me before I can’t comment more. I’m actually really surprised at the outcome regarding points here (5/8). I actually EXPECTED the KICKR to win, I have a strong affinity for the Wahoo unit. In spite of that, on a blow for blow break down, the Neo seems to have taken the win…but with the caveat that its currently not functioning properly – I’ll certainly be revisiting this post to look more at the NEO when I’ve got a functioning unit again, but thought I’d post what I have so far! There are a few rough areas on the NEO, and hoping that this lemon unit is a one off, the TacX will CLEARLY have a winner, and every one else is really going to have to up their game!